VegiWorks, a produce delivery company in San Francisco, is currently featuring Asian citrus from California Citrus Specialties. Yuzu is a key ingredient in Japanese cuisine. Bay Area chefs are known for their culinary creativity, using specialty ingredients that are unknown in most of the country. This time of year, as citrus is just coming in to season, local chefs are skipping boring old lemons and limes in favor of lesser-known varieties. VegiWorks, a San Francisco-based produce delivery service, is currently featuring three Asian citrus specialties—yuzu, kaffir limes, and sudachi—grown in the San Joaquin Valley by California Citrus Specialties. “San Francisco chefs prize these hard-to-find citrus species for making traditional Asian dishes, but they have also come up with some inventive ways to incorporate the unique flavors of each into new dishes and cocktails,” says Bob Mametsuka of VegiWorks. 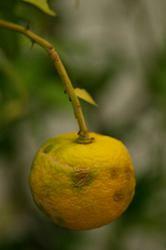 Yuzu is a citrus hybrid common in Japan, but rarely found in the United States. It is the key ingredient in ponzu sauce, a tart dipping sauce widely used in Japanese cuisine. Ponzu sauce usually consists of a mix of soy sauce, mirin (sweet sake), rice vinegar, fermented tuna flakes, seaweed, yuzu, and other citrus. It is served with tataki (lightly grilled meat or fish) and sashimi (thinly sliced raw fish). The strong aroma and piney-citrus flavor of yuzu juice also make it an inspired choice for unique cocktails. 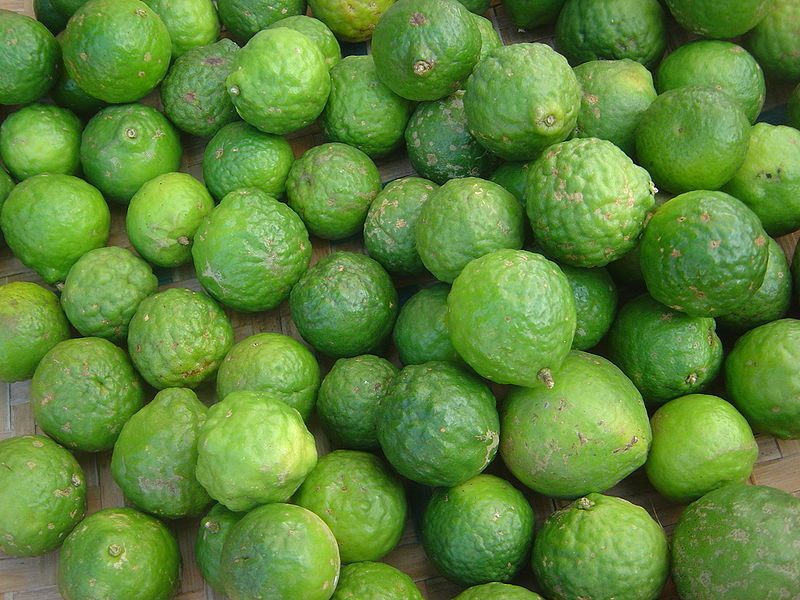 Kaffir limes are essential to Southeast Asian cooking. The hourglass-shaped leaves are a key spice in Thai, Lao, Cambodian and Indonesian cuisine. The leaves are often found floating around a bowl of tom yum, a popular Thai soup. The rind of the small, bumpy citrus fruits is used to flavor many curry pastes. Kaffir limes yield little juice, but it can be used in beverages, and is considered to have medicinal properties. Sudachi is another citrus prized in Japan but little known elsewhere. A slice of the small green fruit is often served alongside Japanese dishes and cocktails, and it is another ingredient in ponzu sauce. 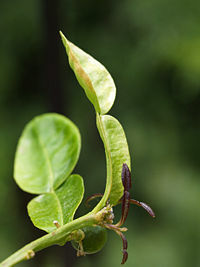 Sudachi has a zestier flavor than lemons or limes, and is thought to have many health benefits. “These specialty Asian citrus varieties have a very limited harvest season, so chefs are taking advantage of their availability while they can,” notes Mametsuka. For more information about specialty citrus, or any of VegiWorks’ products or services, call (415) 658-9219, visit http://www.vegiworks.com, or find VegiWorks at the San Francisco Wholesale Produce Market, located at 1910 Jerrold Avenue in Bayview. VegiWorks, Inc. is a full-service, customer-oriented San Francisco-based produce delivery service specializing in a complete line of fresh fruit and vegetables, including certified organic produce and pre-cut produce items. The company offers produce delivery in San Jose, San Francisco and everywhere in between. VegiWorks has been servicing many of the most highly-acclaimed restaurants and hotels in the Greater Bay Area since 1992. The leaves of kaffir limes are an important spice in Southeast Asian cuisines Kaffir limes are thought to have medicinal properties. Sudachi has a zesty flavor.